I own a Bar Crusher 610C (now 615C). I have had it for close to three years and in this time it has clocked up 750 hrs – the equivalent to 15 years of use for the average angler. I fish in Port Fairy, Victoria, and catch mako sharks, tuna and kingfish. I regularly travel to the continental shelf, a 65nm round trip. When other boats turn around to go home, my Bar Crusher takes me out and brings me home safely. 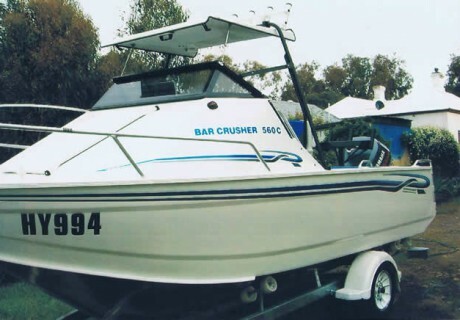 It takes a tough boat to withstand the rigours of the Southern Ocean and I have no hesitation recommending Bar Crusher to anyone looking for a great performing fishing boat.